This is the side dish that accompanied the Grilled Peruvian Chicken Thighs. Asparagus is great on the grill, just be careful not to overcook it, or to let it fall through the grill slats. This is a simple recipe for grilling vegetables. In a large Ziploc bag, combine olive oil, garlic, fresh lemon thyme (other good herbs to use: fresh rosemary, oregano, basil, Thai basil, cilantro, sage) and salt & pepper. I leave the garlic cloves whole, but then smash them somewhat while they are in the bag with the olive oil. Add washed and trimmed asparagus. To know where to trim your asparagus: hold a stalk in your hand and start to bend it near the bottom. The asparagus end will snap off at the perfect spot. No more tough ends! 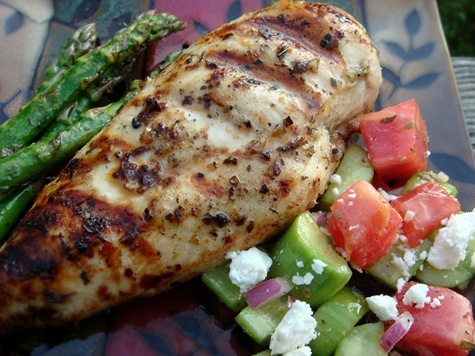 Let asparagus sit in the marinade at room temperature for 30-60 minutes for best flavor. (It can also be cooked right away if you are short on time; the garlic just will not be as infused into the oil). 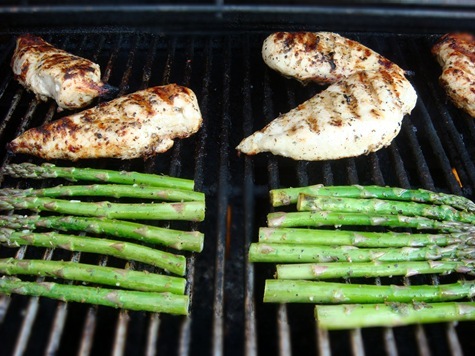 Remove asparagus from oil and place on a hot grill, turned to low (for gas grills). I like to grill the garlic as well, but I do often lose some through the grates. You could use a grill screen to avoid this. Grill 5-7 minutes, depending on the temperature of your grill. Watch them carefully, turning often. This is also great with fresh zucchini. The zucchini in our garden overproduced this year, while our tomatoes were sadly underperforming. But now, the only things left in the garden are the green tomatoes that never ripened. I need to pick those today before I lose them to frost! Maybe some Green Tomato Salsa. Combine asparagus with oil, herb and seasonings in a Ziploc bag. 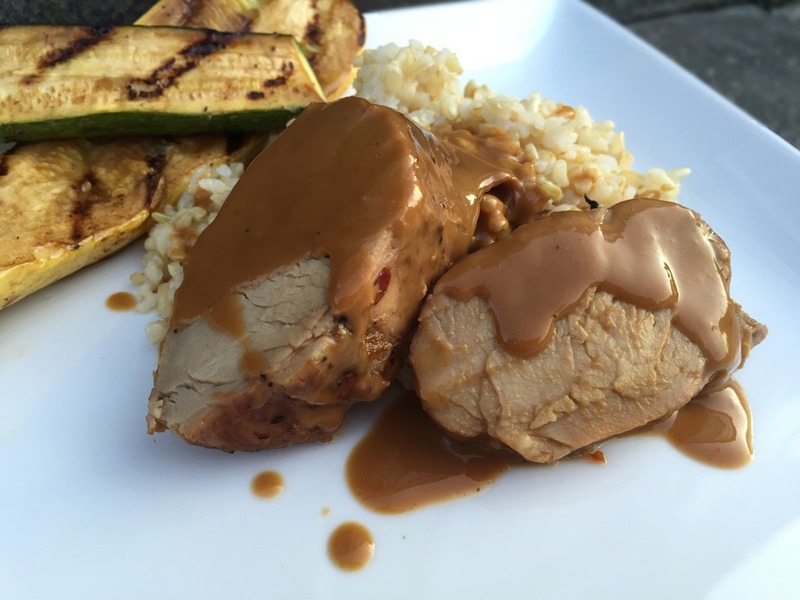 Marinate 30-60 minutes at room temperature for best flavor. 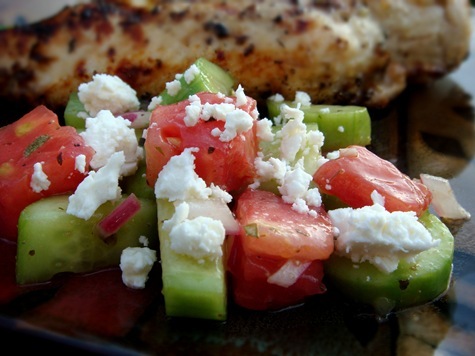 Cook 5-7 minutes on a hot grill (turned to low, for gas grills), turning often.